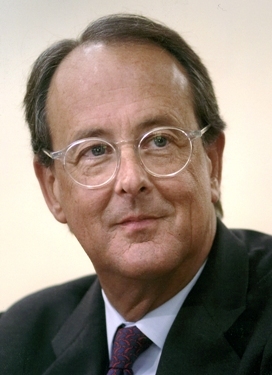 Erskine Bowles has served as president of the 16-campus University of North Carolina since January 1, 2006. Born and raised in Greensboro, N.C., he is a graduate of the University North Carolina at Chapel Hill (1967) and Columbia University’s Graduate School of Business (1969). He holds eight honorary doctorates from universities and colleges throughout America. Bowles began his business career at Morgan Stanley & Co. in New York as an associate in the corporate finance group. In that position, he saw the unfilled opportunity to provide corporate finance expertise to America’s middle-market companies. He soon returned home to North Carolina, where he founded and served as chairman and CEO of the Charlotte-based investment banking firm that became Bowles Hollowell Connor & Co. Bowles also was a founder of Kitty Hawk Capital, a venture capital company, and Carousel Capital, a middle-market private equity company. In 1993, Bowles was appointed by President Bill Clinton to serve as director of the Small Business Administration, and later was tapped to serve as deputy White House chief of staff (1994-95) and White House chief of staff (1996-98). As chief of staff, he helped negotiate the first balanced budget in a generation. As a member of the National Economic Council and National Security Council, he helped guide domestic and foreign policy. In prior service as deputy White House chief of staff, Bowles helped direct the government’s response to the Oklahoma City bombing in 1995. After he left the White House, he also served from 1999 to 2001 as a general partner of Forstmann Little, a New York-based private equity firm. He ran for the U.S. Senate in 2002 and 2004, and currently serves on the boards of General Motors, Morgan Stanley, Cousins Properties, and NC Mutual Life Insurance Co.
Bowles has shown a life-long commitment to public service in North Carolina and beyond. He helped found Dogwood Equity, chaired the Rural Prosperity Task Force, and served as a trustee of the Golden LEAF Foundation—three entities designed to bring economic development to rural North Carolina. Bowles also has served as vice chair of Carolinas Medical Center in Charlotte and as a trustee of the Duke Endowment. Family illness inspired Bowles to help lead efforts to create an ALS (Lou Gehrigs Disease) Center in Charlotte and to serve as the international president of the Juvenile Diabetes Research Foundation. Earlier this year, he was appointed United Nations deputy special envoy to 13 tsunami-affected countries in Southeast Asia. Click here to view all of Erskine Bowles’ posts on this blog.